Choosing your bridal party can be stressful for a lot of brides. There are plenty of places you can go for advice, but at the end of the day, you have to do what is right for you and your fiancé (remember him?). Some people have a dozen bridesmaids while others choose not to have a bridal party at all. My husband and I had an average size bridal party, but no best man or maid of honor. Whatever you fancy, once you’ve decided to have bridesmaids and who they will be, have some fun letting them know! Send her a picture frame that holds two pictures. One side can have a picture of the two of you and the other a note asking her to be your bridesmaid. She can eventually replace the note with a wedding picture of the two of you. 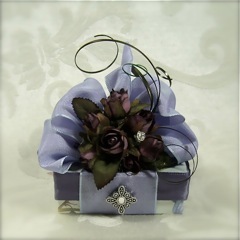 Write her a poem – it’s sweet, sentimental and personal. Send her a Bridesmaid cookie. I found these great looking cookies on Etsy. 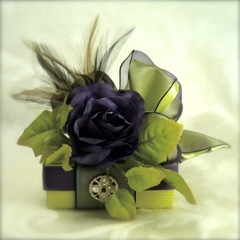 Whatever you decide, definitely consider sending your bridesmaid her invite in one of these beautiful handmade boxes. We love these designs so much that we’ve now started selling the collection from our showroom on Long Island. If you aren’t in the New York area, contact us to find out how to order.